One off event or venue? Whether you're a venue who wants to support your customers who use your venue or an event organiser, our online booking system is designed to meet your needs. One off events or annual licensing packages for a no-commission option, get the right package for your event. You can even include your own gateway and include direct payments and have unlimited access and reporting from the system. 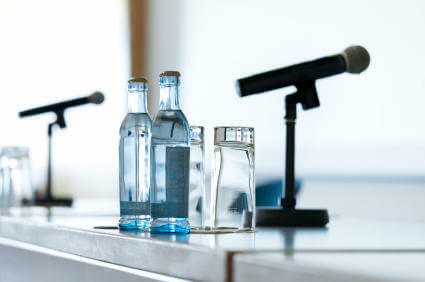 Setup, promote and manage large conferences easier than ever with this off-the-shelf, configurable conference management solution. All the tools you need to easily manage event registration from designing branded registration pages, custom registration paths, and pricing and profile questions.